As the Safety Manager you are responsible for the development and administration of the safety system and the safety compliance monitoring processes. You act as coordinator and secretary of safety related committees and forums. As Safety Manager you communicate the performance of the organization’s safety management system through suitable means. You ensure that lessons learned from investigations, safety related events, or other safety related experiences, both internally and from other organizations, are documented and distributed. As the Training Manager you are responsible for the establishment, coordination, implementation of training programs, and relevant record keeping of personnel training, as well as of the proficiency check programs. You act trainer in safety related trainings. You take part in the planning of the airport activities as member of the operational management. 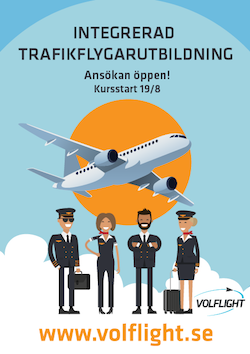 You report directly to the Airport Operational Accountable and you are the nominated post holder for safety at Stockholm Skavsta Airport. As nominated postholder for Safety you are a key contact to authorities and secure that all reporting and communications in safety related matters are communicated according to legislation. For this position you should have adequate practical experience and expertise in aerodrome operations, or aerodrome maintenance, or similar area, adequate knowledge of safety and quality management, adequate knowledge of the aerodrome manual and comprehensive knowledge of applicable requirements in the area of aerodromes. You should also have adequate knowledge in Microsoft Office suite, being able to create official reports and presentations. We see your social skills as very important. As a person you need to be analytic, cooperative, friendly and very structured. You need to be able to present compiled reports and analyzes at committee/forums both verbally and in writing. Good Swedish and English language are required. Send your expression of interest for this position to rekrytering.operations@skavsta.se marked Safety & Training Manager at the latest 7 May, 2019. Please attach information about you background and a personal letter.